Robbie Brightwell, captain of Team GB’s track and field team, was about to board his flight for Tokyo and the XVIII Olympiad when he got a telegram. It was from his mentor, Harold Fletcher, the headmaster of his school when he was a young teenager, as he explained in his autobiography, Robbie Brightwell and His Golden Girl. Brightwell, the 400-meter sprinter from Shropshire, was likely pleased to receive such encouragement, but he was puzzled about what he had to hold true to. What did “T&D” mean? And that last word unlocked the puzzle that had been rattling around Brightwell’s brain since he left London. Fletcher was referring to Rudyard Kipling’s famous poem, “If”. 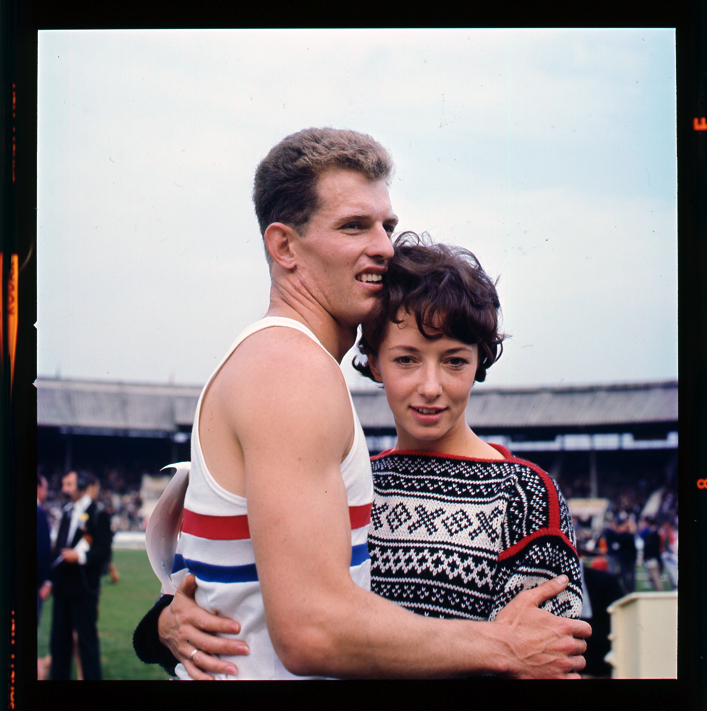 Brightwell was a young 21, and was asked to captain a group of talented athletes who were looking to be the most successful athletics team Great Britain had ever sent to an Olympics. But he was feeling the pressure. This was a time when athletes in the US and the UK were bristling at the hierarchal and top-down nature of sports associations – how they selected athletes for meets and competitions, what support they provided, and in general whether they treated them as people or pawns. Brightwell had strong views that sports associations and officials needed to be more transparent and give athletes greater voice, but also knew that transparency and voice would not come without a fight. Brightwell clearly was popular among other athletes for his positivity, evenhandedness, and clarity of values. And when the powers that be, notably the British Amateur Athletic Board (BAAB), noticed that the track and field team was enjoying success and had a great esprit de corps, many believed Brightwell was a major influence. When Jack Crump, the secretary to the BAAB, offered the captaincy to Brightwell, the runner was overjoyed. But perhaps he heard Kipling whisper in his ear to treat “Triumph” as an imposter. Brightwell took a mental step back and asked Crump questions: Would there be any duties? Could the captaincy be rolled over into the following season to ensure consistency? Brightwell was involved in reform activities in athletics – could he still continue with that? In other words, was this just a title, placed on someone who’s most important role was to avoid controversy? And yet Brightwell was left in the dark. The reaction to the selection was emotional, according to Brightwell. A chorus of omitted athletes raised merry hell, providing the press with a wealth of “protest” stories. In my opinion, many had cause for complaint. Athletes who were still injured had been picked, while alternative candidates reaching top form had been ignored. Similarly, world-class athletes recovering from illness (and almost certain to achieve full fitness before Tokyo), were disregarded. Also, complaints abounded that regional bias within the selection panel had influenced decisions. Brightwell did not believe his captaincy was just in name only. He decided to write an open letter to the press to voice his disappointment in the lack of transparency. Brightwell was tired of what he felt were autocratic ways in democratic times, and wrote he didn’t care of the consequences. More political drama, as well as a silver medal, would follow in Tokyo, as I relate in an earlier post. But Brightwell had absorbed the wisdom of Kipling and his mentor Headmaster Fletcher. The poem “If” is said to be a collection of advice from Kipling to his son, John, and in many ways represents a Victorian stoicism represented in that classic description of a Brit – to keep a stiff upper lip. But in many ways, I believe it is more than just keeping a stiff upper lip, at least as I understand it. It’s about establishing a very high level of self awareness and social awareness, finding that right balance to make the right decision at the right time, and living a life that is without regret. Posted in Pop Culture, Tokyo 1964, Track and FIeld and tagged Ann Packer, Harold Fletcher, If, Robbie Brightwell, Rudyard Kipling. Bookmark the permalink.